No two snowflakes are the same- though fleeting they are some of the most unique and beautiful things in the natural world. These stunning ice crystals with a touch of sparkle remind us of the divine order of nature, the magic and romance around us. Embrace your individuality- there is only one you and you're perfect! 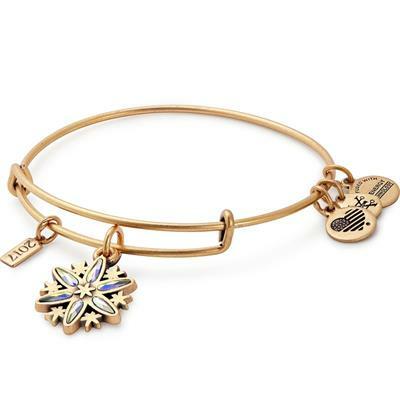 This limited edition bangle comes in an Alex and Ani box along with its meaning card. Available in Gold or Silver and hanging on the iconic Alex and Ani expandable bangle made from Recycled Brass.